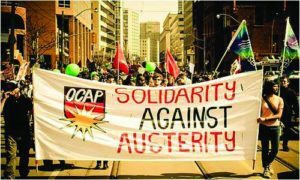 Support the Fight for $15 and Fairness in Ontario this Saturday! 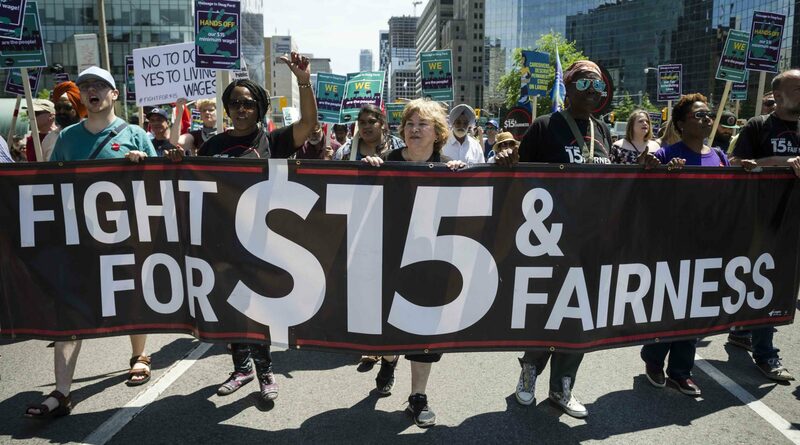 The Fight for $15 and Fairness campaign won a major victory in the fall of 2017 with the introduction of Bill 148: an immediate jump in minimum wage to $14/hr with a further increase to $15/hour scheduled in January 2019, paid sick days, equal pay for equal work provisions for contract and temp workers, and fairer scheduling rules, to name just a few gains. 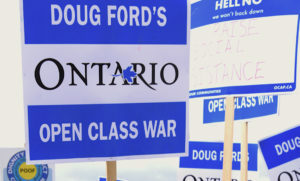 Taken together, these gains represent the most significant progress for low-wage workers in this province in decades. 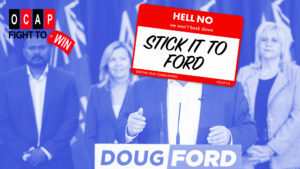 However, the Ford Conservatives are set on repealing many of these gains, including blocking the raising of the minimum wage to $15. 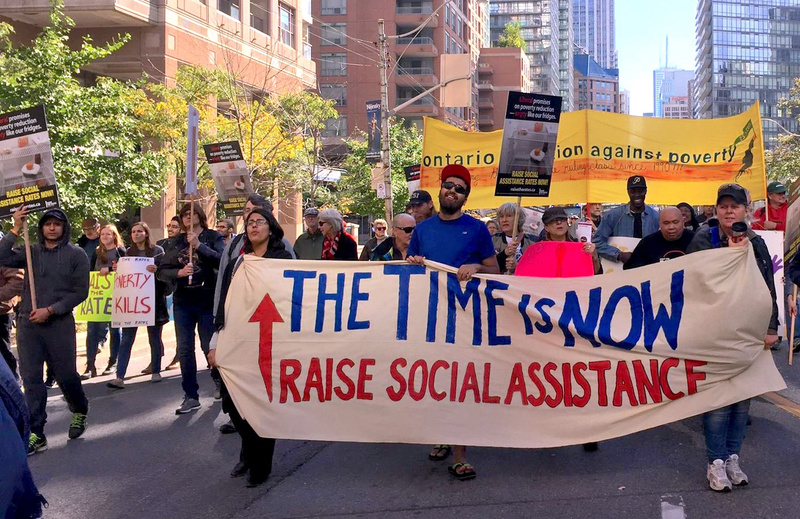 It is no coincidence that this attack on workers is progressing alongside the recently announced cuts to social assistance rates and the additional sweeping changes to OW and ODSP expected later this fall. 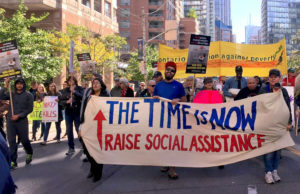 How better to roll out the red carpet for big business exploitation than to keep minimum wage workers and those on social assistance as poor and precarious as possible. Corporations and their executives make massive profits on the backs of poor workers – take for example Galen Weston Jr., the CEO of LoBlaws, who has a net worth of $8.82 billion. Unsurprisingly, he is also one of the people leading the charge against the minimum wage increase. 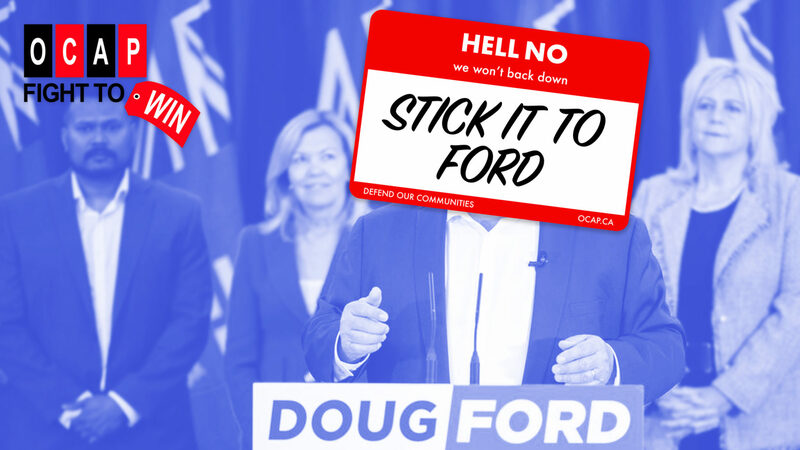 We need to be organizing with all we’ve got to defeat Ford’s cuts to welfare and workers’ rights. 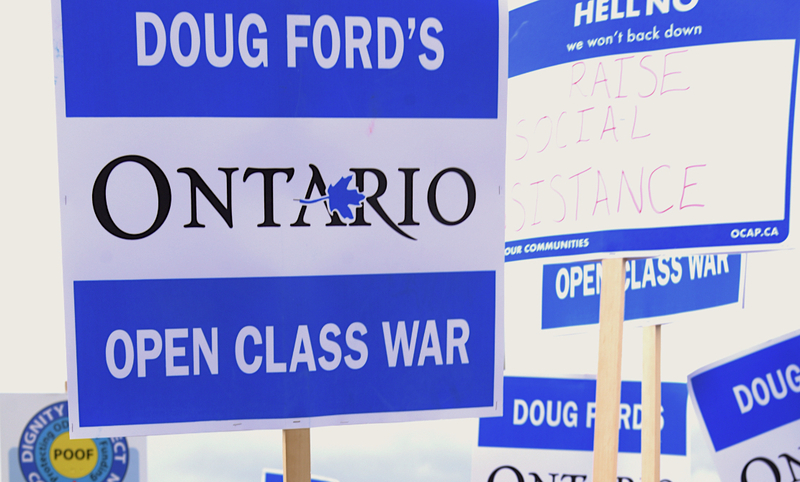 The Fight for $15 & Fairness is organizing a day of action this Saturday, September 15 with actions across Ontario, and we encourage everyone to join in. Details can be found on their website here.